WATERLOO, ON--(Marketwired - June 07, 2017) - Today, D2L announces Brightspace for K-12, a major upgrade to its blended learning solution that provides an engaging experience for junior grades through high school. With this release, D2L extends the classroom by offering a new Activity Feed, standards-aligned lessons, a parent engagement experience, complete mobility, and third party integrations with platforms like Google Drive™, YouTube™ and Office 365™. As the New York Times reported, researchers have found that engaging learners as early as kindergarten can have lifelong benefits. Specifically, a modern learning platform can help both teachers and parents intervene earlier and help learners achieve more successful outcomes. To address this need, D2L has spent the last year working on a major upgrade to its award-winning Brightspace learning platform. Brightspace for K-12 delivers a totally unique experience for learners that use a simple, fun, image-based interface to captivate and engage young students and nonreaders. As children evolve, Brightspace evolves along with them, giving teachers the control and flexibility to ensure their grade level has a unique, relevant experience -- no matter which one it is. In addition to traditional subject matters, children can learn 21st century skills such as creativity, communication and teamwork for lifelong benefit. "With Brightspace for K-12, we're giving teachers and parents much more functionality than they get from the niche tools available today," said Renny Monaghan, CMO of D2L. "We're solving teachers' biggest challenges by offering all the core functionality they require within one platform: the most engaging learning activities, easy assessment tools, a parent engagement solution, and more. They'll have the ability to align curriculum to standards, update student records with a couple of clicks, and launch all the tools they want within one learning hub." Brightspace for K-12 features D2L's new any-device Daylight interface. It was created using cutting-edge responsive design so that the experience will be identical for learners regardless of the device they use, whether they're on a mobile phone, tablet, Chromebook™ or PC. Since not all families have access to large-screen devices or the internet at home, this equalizes learning for all. Brightspace for K-12 is a game-changer for teachers as well as students. Unlike some learning platforms which are intimidating and difficult to navigate, the new Activity Feed in Brightspace is designed like a social media platform, to be immediately easy to use and set up. The Activity Feed provides a hub on the course home page for teachers to communicate easily with students about reminders, upcoming assignments, new content or discussions in an engaging, familiar format to keep all their students on track. Teachers will benefit from simple integration with Google Drive and the ability to easily link to YouTube, other videos, their favorite sites, and more. Brightspace Lessons helps teachers create an amazing blended learning experience using content from publishers, district-provided content, Open Educational Resources (OER), or their own materials. The easy drag-and-drop features make it easy for teachers to add, change and arrange content. Suggested pacing helps them to see how the materials fall into their class calendar so they can adjust where necessary. Finally, Lessons provides useful visualizations to see how a course's content aligns to standards and teachers can map their custom content with just a few clicks. Setting up lessons for a classroom has never been easier, faster or more intuitive than in Brightspace. D2L is partnering with several content publishers, including Florida Virtual School (FLVS) and LearnZillion, to ensure that high-quality, standards-aligned materials can be seamlessly integrated into Brightspace to help teachers get up and running quickly. "LearnZillion is thrilled with the release of Brightspace Lessons as it provides teachers and instructional leaders in schools and districts with seamless access to LearnZillion's extensive library of standards-aligned curricular materials. Our goal is to ensure teachers have easy access to materials to create engaging classrooms and personalized instruction for students," said Eric Westendorf, Co-Founder and CEO of Learnzillion. "FLVS is excited about the release of the Lessons feature in Brightspace as it provides teachers, schools and districts easy and organized access to our world-class, FLVS course products. We have been working closely with D2L for the last eight months on the vision of the Lessons features and have readied our math and ELA courses to be in alignment. These features will turn our customer's attention from managing a technology platform to spending more time focusing on their students," said Jennifer Whiting, Director of Customer Experience for FLVS. Brightspace for K-12 includes the new Brightspace Portfolio, which addresses one of the biggest hurdles for non-reading students in early grades: how to share their work. Portfolio is a great way for students to capture evidence of their learning. It also makes it easy for teachers to review and approve portfolio items, and share them with parents or guardians. Designed specifically for K-12, Portfolio's friendly, animated cartoon character guides students through every step. Parents want to be connected to their child's activities and progress and help them reach their potential. Engaging them in their child's progress at school is critical to student success. Parent engagement is now an increasingly critical part of the equation, particularly since parent engagement has been added into U.S. legislation as part of ESSA (Every Student Succeeds Act). Teachers realize the benefits of parent engagement, but struggle to execute it because of their already-busy day. Brightspace for Parents is an easy way for teachers to let parents or guardians follow their child's progress. This new capability also makes it easy for teachers to share work with parents with a few simple clicks. Parents get access to their own experience on any device, letting them check to make sure their child is on track, view upcoming assignments, see submitted work, or view classroom communications for each of their children. 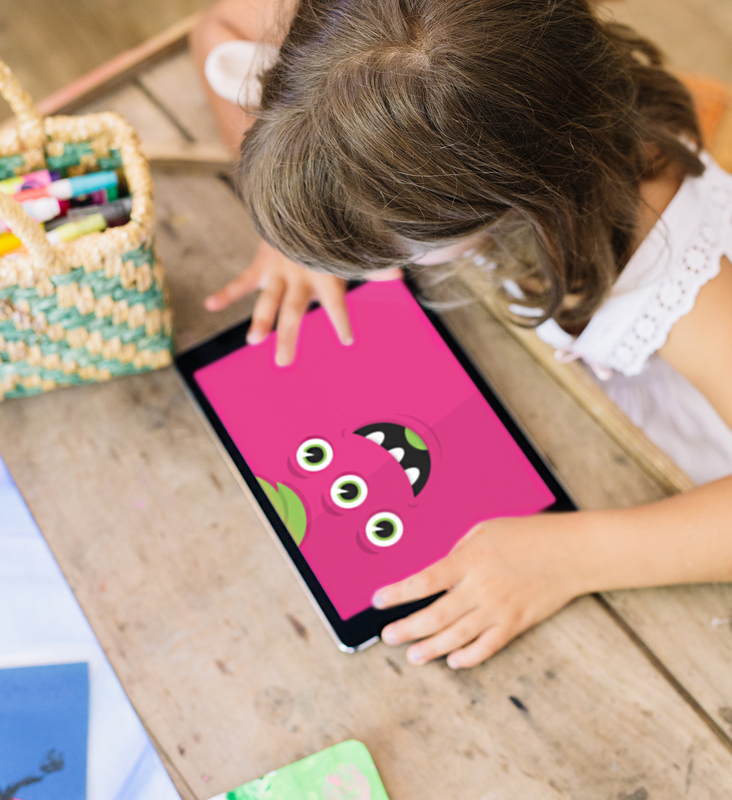 "With Brightspace for K-12, parents will be delighted by how connected they are to the classroom and they'll be able to watch their children learn in a way they never have before," explained John Baker, CEO of D2L. "Our customers who have previewed this new version of Brightspace are raving about it, and we can't wait for everyone to try it and see how it truly reinvents learning and sets students up to succeed starting from the very first day of school." For information about Brightspace for K-12, please visit https://www.d2l.com/k-12. D2L's Brightspace is a digital learning platform that helps schools and institutions deliver personalized learning experiences in a classroom or online to people anywhere in the world. Created for the digital learner, Brightspace is cloud-based, runs on mobile devices, and offers rich multimedia to increase engagement, productivity and knowledge retention. The platform makes it easy to design courses, create content, and grade assignments, giving instructors more time to focus on what's most important -- greater teaching and learning. At the same time, analytics reports track and deliver insights into the performance levels of departments, courses, or individuals. Brightspace was recently named the #1 LMS in Higher Ed by Ovum Research and #1 in Adaptive Learning by eLearning Magazine. In addition, Aragon Research included Brightspace in its highly-coveted Hot Vendors in Learning list.